One of the most difficult marketing challenges for REALTORs is capturing seller leads. 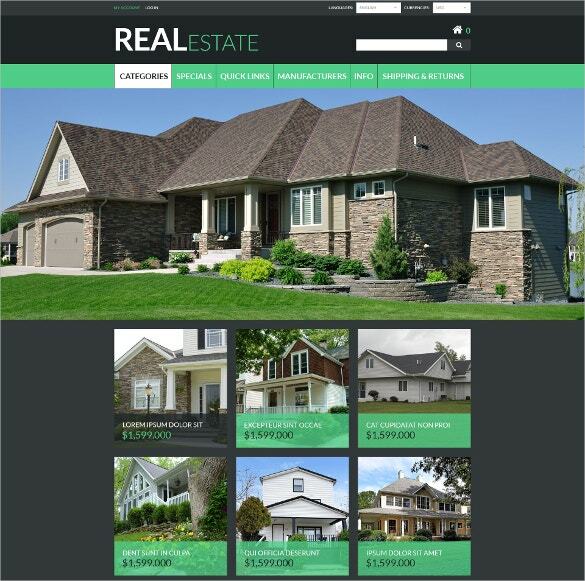 Real Geeks offers a home valuation tool that you can put right on your website. By inputting a few details, sellers can create a valuation report for their property and receive monthly updates. You benefit from collecting these seller email addresses that are added to your list of leads. Click here for a home valuation tool demo. According to NAR statistics, 35 percent of all buyers in 2016 were millennials. This is up from 32 percent in 2014 and will only continue to grow. The market is so important that Zillow recently launched a real estate portal just for millennials. That means learning how to market to millennials is crucial if you want to grow your business exponentially. If you focus on say Nashville Condos…and focus all your attention on developing and implementing marketing systems to find buyers and sellers of Nashville condos, you’ll be amazed at how simple your business becomes. Even though you’re basically selling bricks, your bricks are quite expensive. It helps when you make your website a bit more personal. Add your team and images of your team. Add a short story about how selling real estate became a passion of yours. A bit of history. All these things together make your website a lot more personal. A real estate agency that understands how to do this is Gottesman Residential. Remember, marketing today is all about inbound, and that doesn’t just apply online. Users want you to share some of your knowledge for free before investing time and money in you. A home buying seminar is the local equivalent of a webinar. Yes, it will take time and energy, but attendees will walk away impressed and will have established a relationship with you. That relationship will be worth its weight in gold when they’re ready to shop for a home. Home valuation websites offer seller leads what they want to know most: how much their home is worth. Home valuation websites offer home sellers a free home valuation in exchange for their contact information. You can add a home valuation lead capture form to your website, or use a use a service like Real Geeks that provides lead capture, market reports, and follow-up email services. See how it works. Basically, SEM is a tool of real estate digital marketing which aims at “promotion” of your agencies listings and web pages. It helps to aid in getting better ranking and more attention through paid advertising. Search Engine Marketing (SEM) is an important area which lays the foundation for a complete and cohesive real estate digital marketing strategy. A Florida SEO Company that helps online business grow! Gone are the days when just putting up a website was considered enough. Progressive companies are discovering that specialized search engine optimization services are the only way to help them stand out among the millions of websites on the internet. Being one of the most affordable companies in South, we have the reputation of going beyond our duties to help our clients get on the 1st page of google. With thousands of new websites coming online every day, it is more important than ever to take measures to stand out among the crowd of millions of competing sites. If your corporate website is on page 8 of a Google search, potential customers will never find your business. Our gold is to share our search engine optimization experience to large and small businesses! Checkout our case study by clicking here. Being one of the most effective companies with a total of 35 years of experience, has set us apart from many of the so call an experts. We started in Search Engine Optimization, back 2001. ProspectsPLUS!® offers a variety of one-sided and two-sided door hangers specifically for real estate agents. Choose from one of their beautiful professionally designed templates or upload your own design. It is the baseline that determines whether you’ll show up or not. Think of this as the foundation of a building. If it’s sturdy, you can do anything with it. If it’s shaky, even the best building will never succeed online. Viral videos are still all the rage. If you can capture someone’s attention with a funny or insightful clip, you can reach a wider audience through the power of social shares. Everyone loves sharing entertaining videos on Twitter and with family. Even if the audience isn’t your target, they may send the video to someone who is. There are really only 4 major business listing directories that matter. They are: Acxiom, Localeze, Expressupdate and Factual. These four then push their information all over the web. Honestly, there is a new website every single month that pulls information from these 4 sites. Excellent content, and some great ideas. I had a lightbulb moment with Tip No.53 – creating pages for the micro areas, and perhaps even popular streets. You are so right, most of the time it’s too difficult to compete with the big guns for keyword phrases surrounding your main location. Another advantage, I believe, of using micro areas is the fact that clients that find their way to these pages should potentially be a lot more serious buyers. For example, here in Spain, homes for sale Spain < homes for sale Alicante < homes for sale Calpe Alicante < homes for sale La cometa Calpe. I know I would much rather prefer a lead generated from the keyword phrase "homes for sale La cometa Calpe" than "homes for sale Spain". The time you need to spend educating the clients (generated from the various search terms) will vastly differ as the search phrase becomes more targeted. Surely the narrower the focus the better the client 'quality'? Yes, you won't get as many leads as the main area search term, but that low hanging fruit looks good 🙂 As season veterans in the SEO field, we do not only explain concepts that you do not understand; we also give advice on metrics your business should track. We make sure that you understand every step of the process so you will have an idea about the progress of your business online ranking. Aventura Carol City Dania Doral Fort Lauderdale Golden Beach Hallandale Beach Hialeah Hollywood Homestead Miami Beach Miami Gardens Miami Lakes Pembroke Pines North Miami Beach South Beach Sunny Isles Beach Miami Guru Effect is all about keeping things simple and using common sense, and so far it’s been an effective strategy. This company will break everything down and then build it back up again, starting with the basics. Guru Effect believes that putting together a good site and producing quality content is the backbone of any business, and they will ensure that is the case with your business. “Your sphere of influence is still an extremely overlooked source of business. The key is to not bombard your network with boring, worthless “asks” for business. Instead, you should simply be reminding your network that you’re a real estate agent, and that you’re a local expert. Posting on Facebook, Instagram, and Snapchat is a great way to do that, as long as you’re providing something of value to your network (education, humor, etc), along with the occasional humblebrag if you receive an award, or some recognition for something. I’m talking maybe once a month, or less. But if done tactfully, those humblebrags help your network see that you’re good at what you do.” You want to link to a minimum of 5 other pages or blog posts on every single thing you write. Why? This provides visitors with an easy way to find more information about related topics. And it gives search engines the opportunity to find your older blog posts. In addition to content building, we may also look for opportunities to improve the site by collaborating with our programming and design teams. Their support can amplify the content and improve user experience, ultimately increasing engagement and improving a site's positioning in the search engines. Most website companies tell you to create your own neighborhood pages, LeadSites doesn’t do that. InstaFarm gives you a fill-in-the-blank template that has been proven to rank very highly on Google. And convert SEO Traffic into leads. Your website needs to be mobile friendly. Google is increasingly raising its standards for the websites it refers in its searches. And a website that isn’t mobile friendly is going to start costing you search results. At Easy Agent Pro about 33% of our traffic comes from non desktop or laptop users. This means people on smartphones and iPads need to be able to easily access your website. SEO Strategy –While other firms present it as a complex phenomenon, we believe in simplifying the approach. Our aim is to devise advanced and affordable SEO or SEM strategies, which help you generate more traffic to your website. I suggest picking out 10 keywords and making them as specific as possible. Then, create pages on your website with this keyword as the focus. Don’t know what to do? 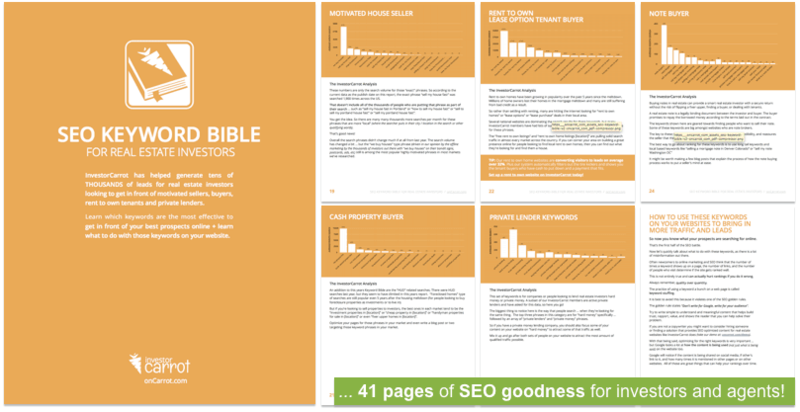 Write 500-1000 words about that keyword and include the keyword 1% of the time (5-10 times). The post that blog article or page on your website. You should then track your ranking on Google. Finally, I’d try to link to that page from other pages at least five times with the keyword as the link text.